The birth of Peregrine Ministries was in December of 2002, but the vision grew over many years. In 1990, while helping lead a mission organization, Craig was first struck with the powerful impact, for blessing or destruction, that fathers had in the lives of missionary candidates. This realization brought personal conviction regarding his own fathering, but also a deep concern for the harm many fathers bring into the lives of their children. It was this conviction that led Craig to Willow Creek Community Church in 1995, where he developed a broader and deeper passion for men. When the Glass family moved to Colorado in 1999, it opened the door to begin to pray and plan for a ministry that took advantage of the adventure and recreation opportunities that abound in the Rocky Mountains. Beryl, immediately brought her artistic and creative talents to the vision, and in 2008 resigned from full-time employment to contribute more of her time to the creative communication needs of Peregrine. She continues to work as a part-time freelance artist, but dedicates the rest of her time to bringing beauty and clarity to the various communication pieces of Peregrine. In the summer of 2011, Jim and Renee Hughes of Charlotte, North Carolina transitioned from Missionary Athletes International to Peregrine. Jim spent many years leading sports related events through coaching, discipling and administrative leadership. He and Renee bring a passion for ministry to parents, especially urging them to envision the raising up of the next generation of young leaders in the church and community. 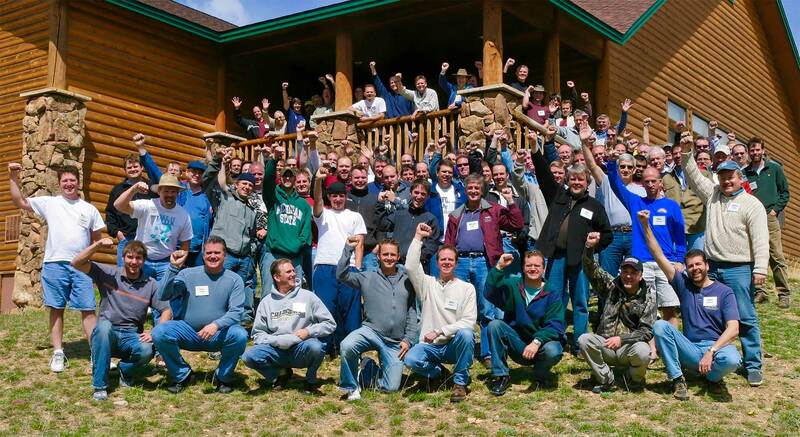 Peregrine Ministries exists to help men turn from a small, self-centered life to a life that focuses on others and that passes on a powerful legacy. We invite you to join us.